A mechanical governor is a device used to control the speed of machine such as vehicle engine. It governs the speed of engine. It is used in small engine to large engine. It also used in car engines. It makes the engine to run at the speed you want it to run. even with varying loads controlling speed of engine. In the modern vehicle there is always a need of varying the load. This device helps to control the speed with varying loads and make compliance with requirements. When there is increase in load, it causes the speed of engine to decrease and when there is decrease in load, it causes the speed of engine to increase. Increase in load needs more fuel to maintain the speed and when load decreases engine need less fuel to supply. Governor performs the task to maintain the proper supply of fuel according to the need of the engine. 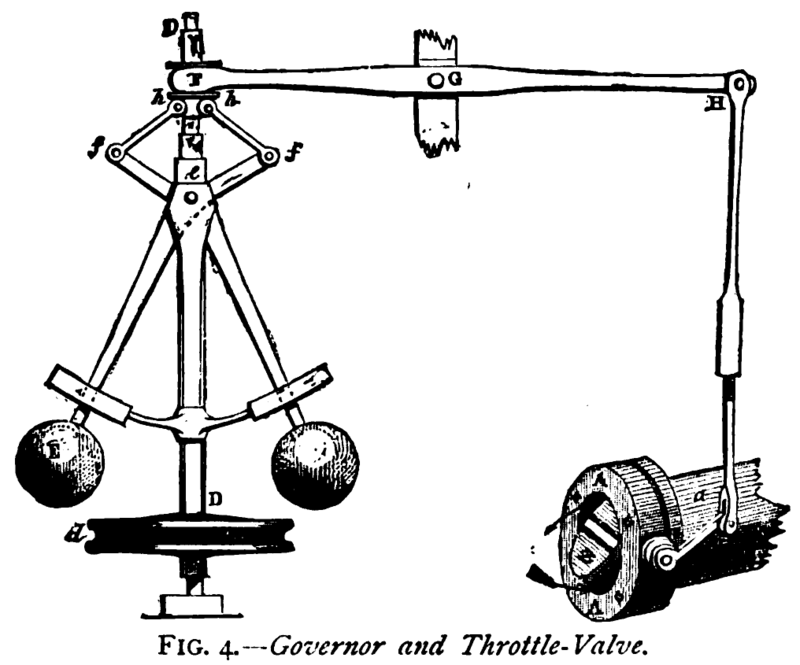 Mechanical Governor has two balls of equal weights attached to the arms of the Governor. These balls called Governor balls. These balls revolve when spindle of governor rotates. The upper end of the arms is attached with the spindle. This makes the ball to move up and down while rotating with respect to vertical axis. The lower side arms are linked to the sleeve which revolves along with the spindle. This also makes the sleeve to move up and down while revolving. When speed increases the sleeve goes upward and tends to go down wards with the decrease in speed. Stopper in the spindle controls the movement of sleeve and a lever will connect the sleeve to throttle valve. This mechanism controls the fuel supply appropriately. Centrifugal Governor detects change in speed with the help of gear and flyweight. This Governor balance the centrifugal force of the rotating Ball by equal and opposite radial for controlling force. Flyweight helps the Governor change in speed. The rotating balls will be opposite to each other and have the same weight. If we operate a small, lightweight engine which beer is light load, then the carburetor will supply the amount of air fuel mixture to combustion chamber. Then the crankshaft will start spinning and the centrifugal force cause the flyweight to open. the pressure is applied on governor and crank. The Crank is Linked with throttle valve and the action will cause the fly weights to pull the throttle valve to the closed position. Inertia Governor are quit different from centrifugal governor because it works on different principle. The Governor balls are arranged such that the inertia force generated from the angular acceleration of the Governor shaft tend to change their positions. The displacement of the balls is controlled by Spring and mechanism of governor. Through this the supply of air fuel mixture can be controlled. In this governor the positions of the balls depends on the rate of change of speed of the Governor shaft. Because of this the quick response will be obtained as we change the load. This type of governor takes action due to acceleration and not due to finite change in speed. Centrifugal governor is preferred over inertia governor because inertia Governor have practical difficulty of arrangements expected balance of revolving parts.